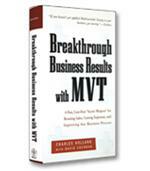 Breakthrough Business Results with MVT describes and details the one revolutionary method that offers a powerful, fast and inexpensive way to prove with certainty that ideas will have the biggest impact on your bottom line. 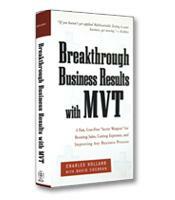 MVT, or Multivariable Testing, uses advanced statistics to test the real-world effects of dozens of business improvement ideas, discover the synergies between them, and identify those ideas that are the most powerful and profitable under real-world conditions. In order to compete in the flat world –– where the rules are constantly changing –– businesses must be willing to embrace a new strategic model. This model needs to allow for the understanding of the evolving work force, the inception of new technologies, and the re-examination of work place structure. Corporate Agility provides the blueprint for this revolutionary move forward. Very few leaders consult a crystal ball or a psychic when it comes to looking into the future with regards to their business; nonetheless, they are still responsible for understanding how the decisions they made yesterday will affect their organization five years from now. Johansen and the Institute for the Future provide their insights into the next decade, and show readers how they too can begin to navigate the road to the future. You understand the value of comparing your company's practices to those of star performers in your industry. But how do you do that? Watson tells what to measure, how to find a benchmarking partner, and ways to apply what you've learned. Service-quality experts Connellan and Zemke know that many customer-service programs sputter after a few months. 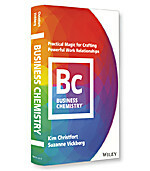 They show you how to keep your employees enthusiatic and your customers enthralled.